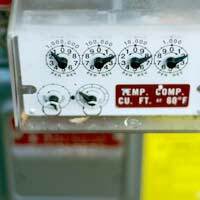 Home > Ask Our Experts > Landlord Has Tampered With the Meter: What Can I Do? I am currently three quarters of the way through a one year tenancy agreement with my landlord. About a month ago my housemate and I re-signed an agreement for further 12 month period. The property is split into 2 flats, I am in the Ground Floor flat. Towards the back of the property - within the boundaries of the property but in a separate building -is an outhouse/depot that my landlord built for one of his friends in order for his friend to run a business from there. Within the last few days a Meter Operator attended our property to read the electricity meters. He alerted us to the fact that the electricity meter that registers the consumption for the Ground Floor flat (mine) has been tampered with, the outhouse/depot is receiving electricity through my meter and I am paying for it. In no part of my contract does it state that I will be paying for someone else's electricity usage in addition to my own. We have raised the matter with our landlord but he is not interested - what can we do? If someone has tampered with the electricity meter and is benefiting from what is essentially free electricity, while you foot the bill, this is a criminal offence! Put in these terms, it may be that your landlord begins to listen to you. However, it is not clear whether you have proof as to who it is that has tampered with the meter: whether it was the landlord himself or his friend, the tenant of the depot/outhouse. If you begin to make allegations there may be some buck passing between the landlord and the other tenant, although as you say they are friends. However, your landlord has certain obligations to you, and he can’t simply ignore the problem – as it affects both tenants on what is HIS property. You entered into a contractual agreement with your landlord that is different from the reality. You mention that you have already tried to raise the matter with your landlord, but that he is not interested. What you decide to do essentially boils down to how much you and your flat mate want to stay in the property. You could take your landlord to arbitration, or the small claims court to recover the cost of the extra electricity you have had to pay. Or would you be prepared to continue to pay someone else’s electricity for the sake of being able to stay in the property? You could write a letter to your landlord, stating that the situation as it currently stands amounts to a criminal offence and that you will be informing the electricity company that this situation has arisen. In any event, if the electricity company finds out that the meter has been tampered with and you have not reported it, this may not reflect well on you either. Your local council may offer a service that seeks to resolve disputes between tenants and private landlords, and it would also be worth checking whether your landlord has signed up to the Housing Ombudsman Service as they offer dispute resolution too. Remember, landlords are not allowed to act in a way that interferes with the peaceful enjoyment of the property, and they also can’t do anything that amounts to harassment. However if the relationship deteriorates you, and/or your landlord, may not want to continue with the new assured shorthold tenancy that you have already signed. I hope this has helped to clarify things for you. Good luck! After getting large electric bills at my rented garage I switched everything off and the meter still went round then I found another trip switch that switched the lights off at the rear of my unit that lights a caravan storage area of the landlord so I'm paying for his electic in the caravan storage area ther are approx 4300 hours of darkness a year at 9.67p a unit I guess about 1 unit an hour £400 plus ??? Any advice? You can report energy fraud via the UKRPA link here. I hope this helps.